Addiction to opioids is hazardous to your health. To most people, this may sound like an obvious and inescapable reality. If your chief priority is staying cool, the thinking goes, you don't move to Phoenix. If you really want to stay alive, you don't use heroin. But humans have created innumerable places in Phoenix where it's possible to minimize personal contact with searing heat. Humans have also created places where it's possible to inject opioids at relatively low risk. Heroin users have long been susceptible to life-threatening diseases such as AIDS and hepatitis, which are spread through shared syringes. In recent years, those who use heroin or prescription opioids have also faced an increasingly common and more immediate peril: sudden death from overdose. In 2015, more than 33,000 Americans died of overdoses involving these drugs -- nearly triple the number in 2002. That growing epidemic is one reason that life expectancy among whites actually declined last year. It's not hard to figure out why opioid dependence can lead to the morgue. Users may overdose because their heroin has been adulterated with other, more powerful drugs. They may combine opioids with alcohol or sedatives, aggravating the risk. They often shoot up alone or with other users, meaning they may have no one who can help them if things go wrong. The best way to reduce the toll is dissuading people from opioid use. But some people are drawn to intoxicating substances, and once they become dependent, they find it hard to abstain even if they would like to -- which many don't. So the question becomes how to prevent inveterate users from dying. Not everyone thinks this objective is commendable. In the 1990s, drug users were contracting and dying of AIDS (and infecting their sexual partners) after shooting up with dirty syringes. But a lot of people, including President Bill Clinton, resisted efforts to expand access to clean needles. Like giving condoms to teens, this was seen as a false solution that would only encourage people to engage in risky behavior. Wrong. Making sterile needles available, it turned out, averted disease and saved lives without generating more addiction. Let drug users get the means to protect themselves, and many of them will take it. Self-destructiveness is not necessarily their goal. A comparable approach can avert overdose deaths. One tool is naloxone, a drug that quickly neutralizes the effects of opioids, reversing overdoses. Emergency rooms keep it on hand. Ambulances carry it. Some police departments equip officers with supplies. 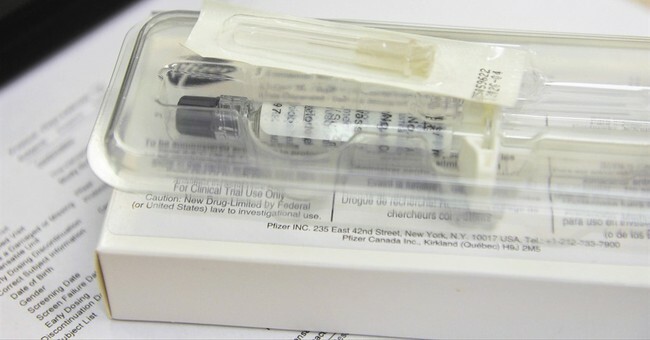 Another solution is coming to King County, Washington, which includes Seattle: safe injection facilities where people dependent on drugs can use them in clean conditions, without fear of arrest, under the supervision of health care workers. Those users who are ready to go straight will also get help finding treatment. Though it's never been done in the United States, it's a well-tested idea. The Drug Policy Alliance says these sites have been opened in some 100 cities around the world. They have spread because they work. Insite, which operates a venue in Vancouver, just over the Canadian border from Seattle, says 3 million injections have taken place there. Nearly 5,000 overdoses have been reversed, without a single overdose death. A review in the medical journal Drug and Alcohol Dependence found these facilities have been effective in fostering safer practices and reducing overdoses. Contrary to fears, they have not served to "increase drug injecting, drug trafficking or crime in the surrounding environments." Aside from the benefits to drug users, there are benefits to everyone else. The safe injection sites succeeded in curtailing public drug use and the presence of syringes left on the street. They save cities money for emergency medical care. But obstacles abound. Washington state Sen. Mark Miloscia, a Republican who opposes the Seattle initiative, told The Washington Post, "Saving lives is about getting people off heroin and not tolerating it." Actually, saving the maximum number of lives involves a mix of remedies. One is educating people about the perils of addiction. Another is furnishing treatment to those who want it. Clean living is healthy. Clean living doesn't appeal to some people, though, and safe injection sites may keep them alive long enough for them to change their ways. Even the most incorrigible opioid users are not beyond help. But dead ones are, and there are more of those every day.